3. Nurse Anesthesia Education in the United States- NEW! 4. 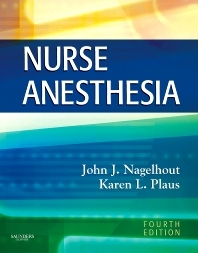 Legal Issues in Nurse Anesthesia - NEW! 18. Clinical Monitoring II: Respiratory & Metabolic Systems - NEW! 19. Clinical Monitoring III: Neurological System - NEW! 46. Regional Anesthesia – Upper and Lower Extremity Blocks - NEW! 48. Neonatal Anesthesia - NEW! 54. Anesthesia Complications - NEW!